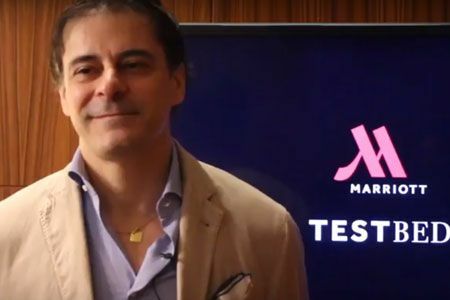 More than 15 years after starting up Eastline Marketing, a digital media agency based in Beirut, today's Entrepreneurs of the Week, co-founders Marc Dfouni and Nemr Badin, share the most important lessons and insights they've acquired throughout the years. 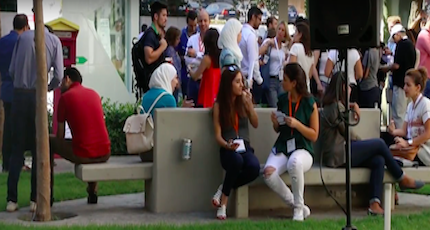 They originally launched the company in Montreal in 1997, bringing it to Lebanon in 2006 to "connect brands to consumers through digital media channels including social media marketing, search marketing and display advertising in Lebanon and the regional market," says Dfouni. Despite the rise of digital marketing agencies in the region nowadays, Eastline Marketing is not worried about competition. "What differentiates us is a full offering focused on digital, not limited to one service but spanning multiple digital marketing challenges," says Badin. "We have built more than 350 campaigns so far thus a lot of expertise in the field." The company recently launched a web platform that allows the consumer to rapidly create social media campaigns on Facebook pages on his or her own, without Eastline's intervention. It also fully supports Arabic. Even in its 15th year, Eastline Marketing continues to grow. "In terms of client retention, 60-70% of our clients are renewing and increasing their budget, while we are recruiting 40-50% new clients every year," says Dfouni.